Way back in 1965, Bob Dylan went electric, which upset some of his fans so much that they booed him at the Newport Folk Festival. 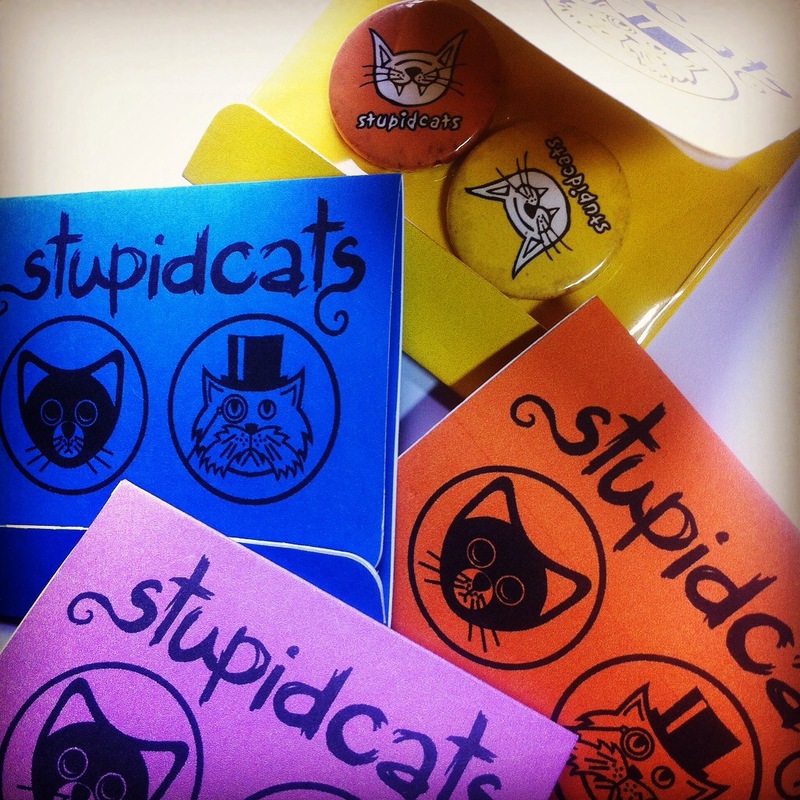 Fifty years later, stupidcats went digital – please don’t boo me! 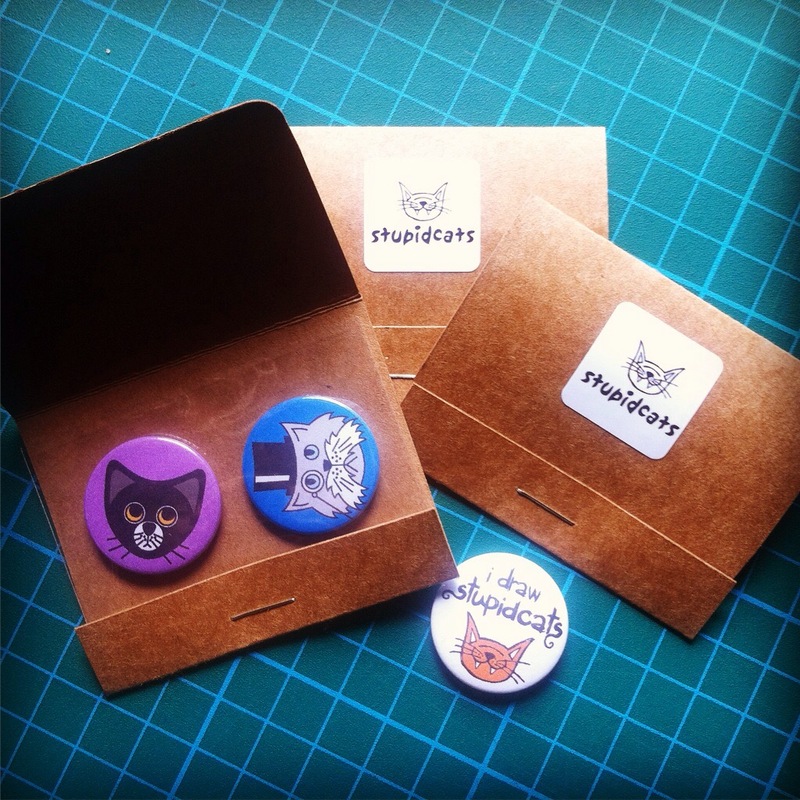 I’ve wanted to re-create some of my cats digitally for ages, so I can put them on button badges and other things. 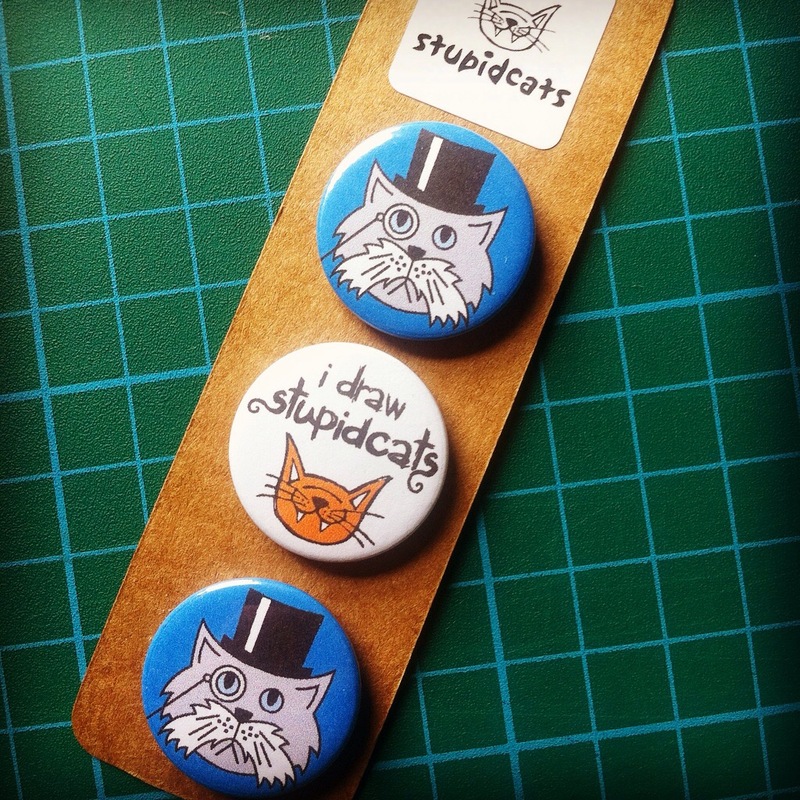 Recently I was able to invest in a professional badge making machine after a run of sales of my drawings (thank you!) so I sat down at the computer, opened Adobe Illustrator, and started playing. …but it was a bit too slow and fiddly to make, and the visible staple irritated me a bit. 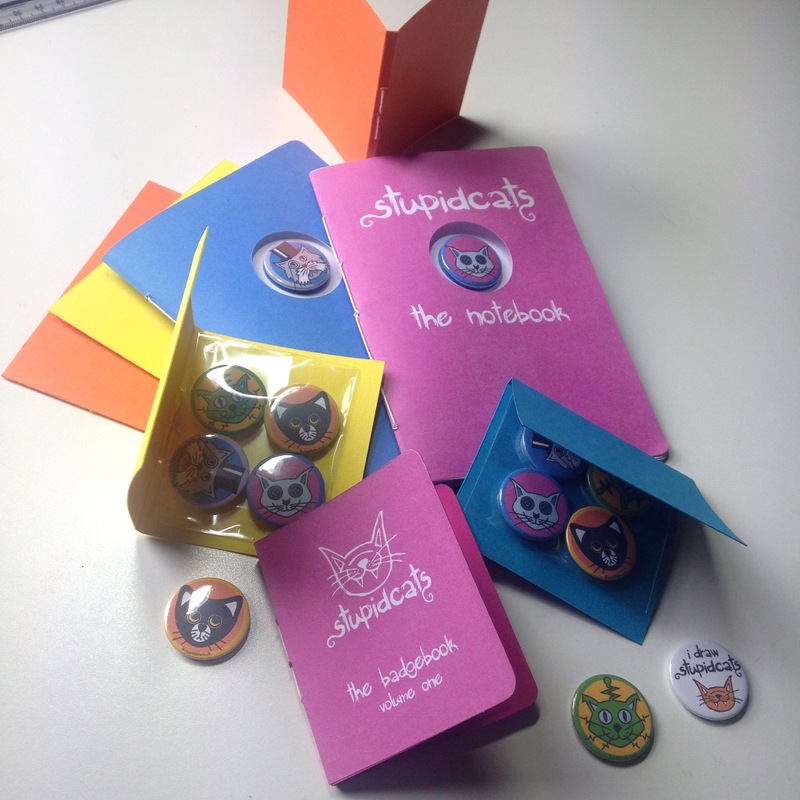 Around this time I started referring to them as “badgebooks” and then had a thought – I was already planning on making stupidcats notebooks, so why not just make a simple, folded book-cover type thing with the badges inside? 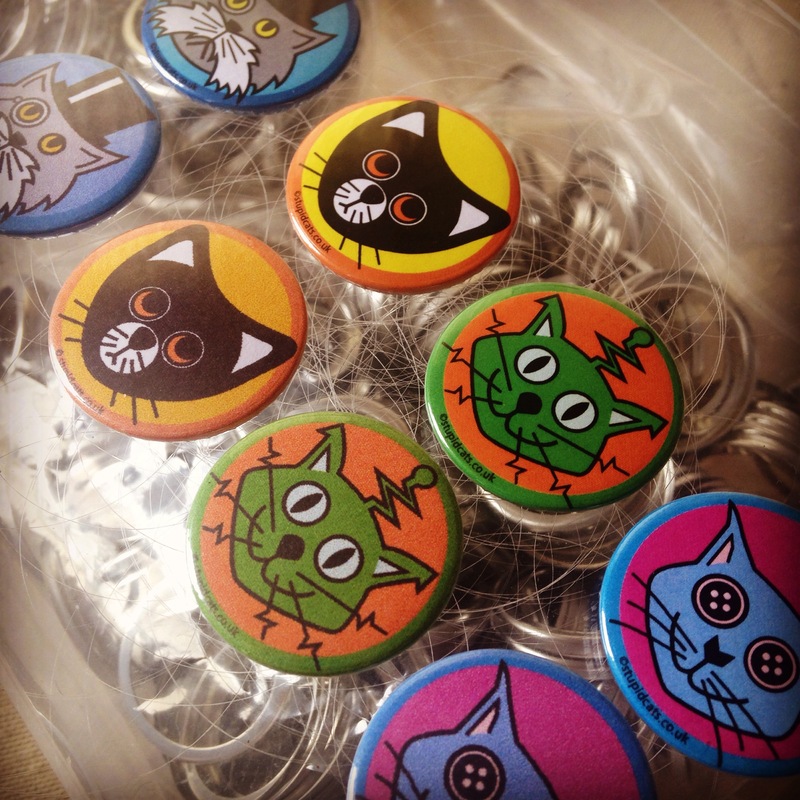 The added bonus of giving the badge packaging a bookish theme meant I could give each set of designs a “volume” number. 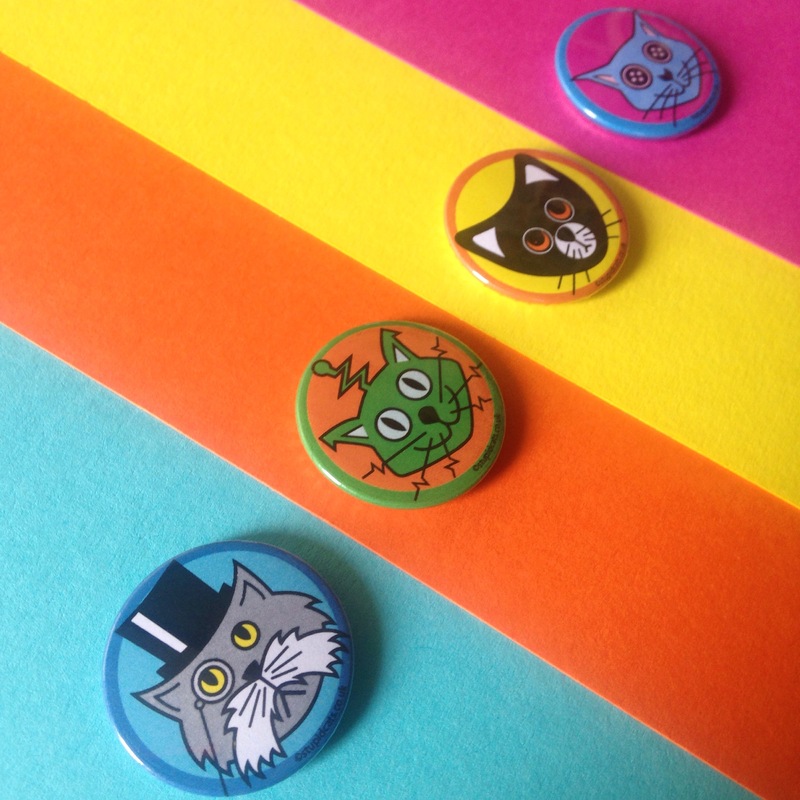 I’d now added two more designs based on old drawings – the alien, and the other stupidcat, inspired by Neil Gaiman‘s book “Coraline“. 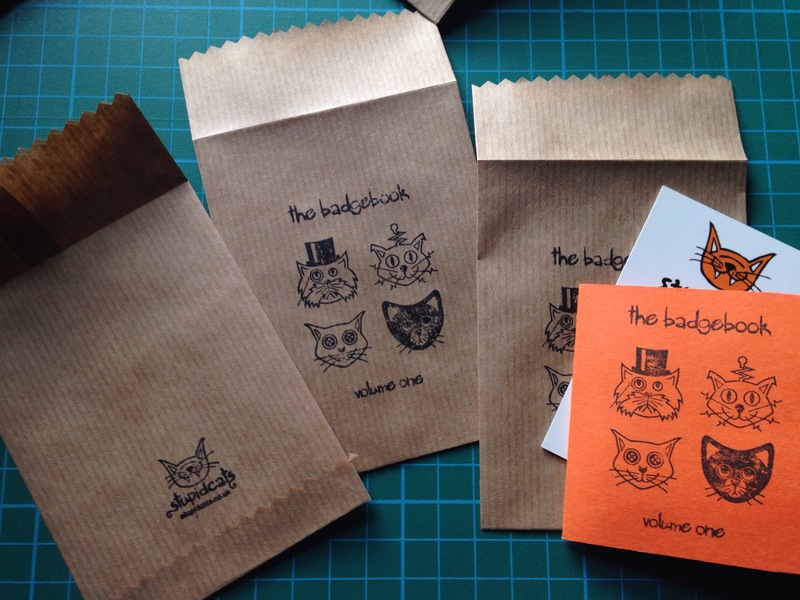 I still had a problem though – I didn’t want to use a plastic bag in the packaging, and cutting little flaps or punching holes was fiddly, time-consuming, and looked messy on the back. 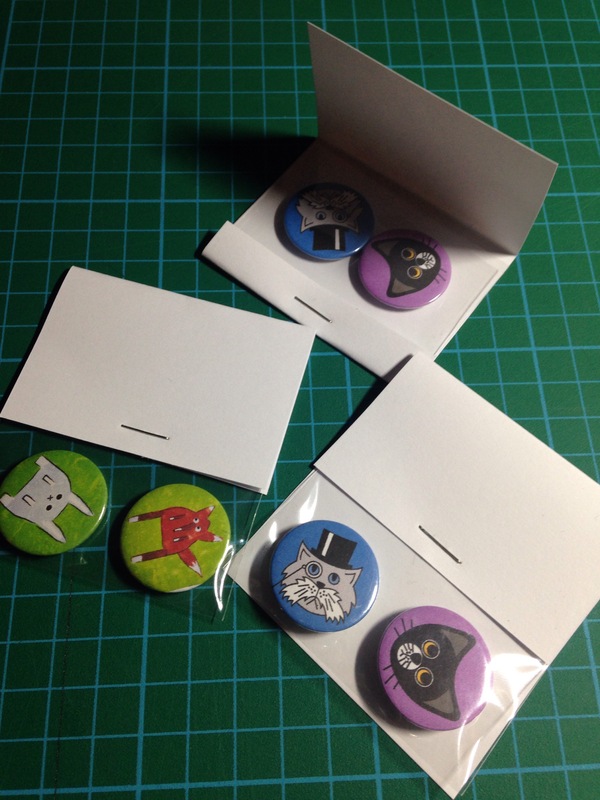 So how could I attach the badges to the card? Then I received a new bank card in the post. So I looked up “glue that sticks bank cards onto paper” (or words to that effect) on the internet, and my little problem was soon solved! 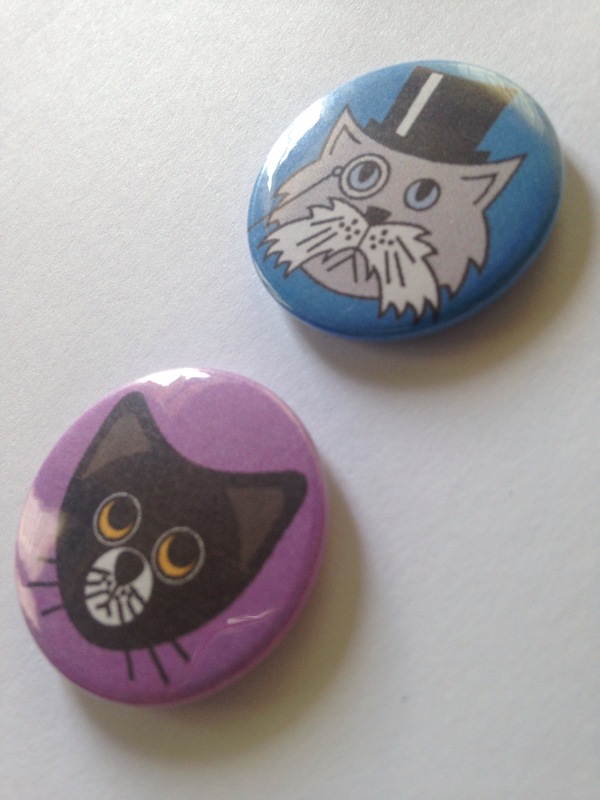 I posted a set of badges to myself, and was relieved to find that despite travelling through the postal system, the badges were still attached to the card when I received them. Success! 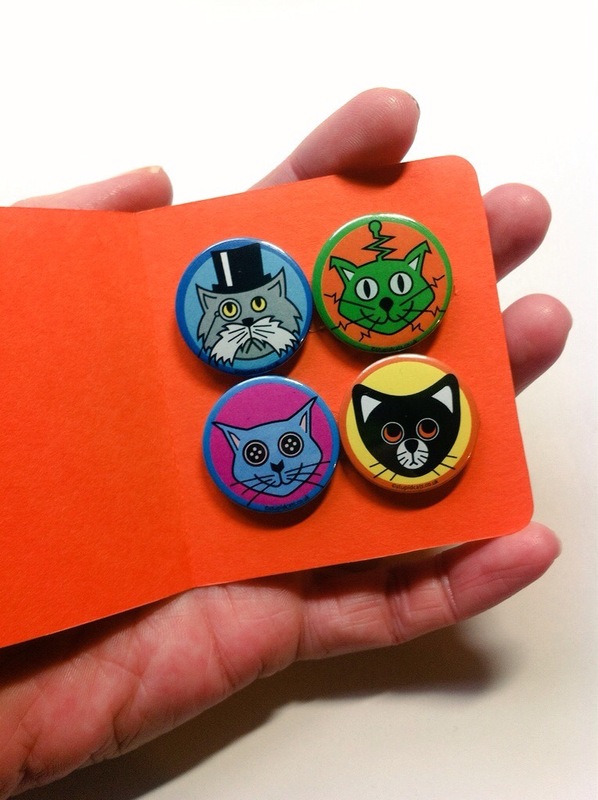 Here are the badges against some of the cardstock – not a bad match at all! 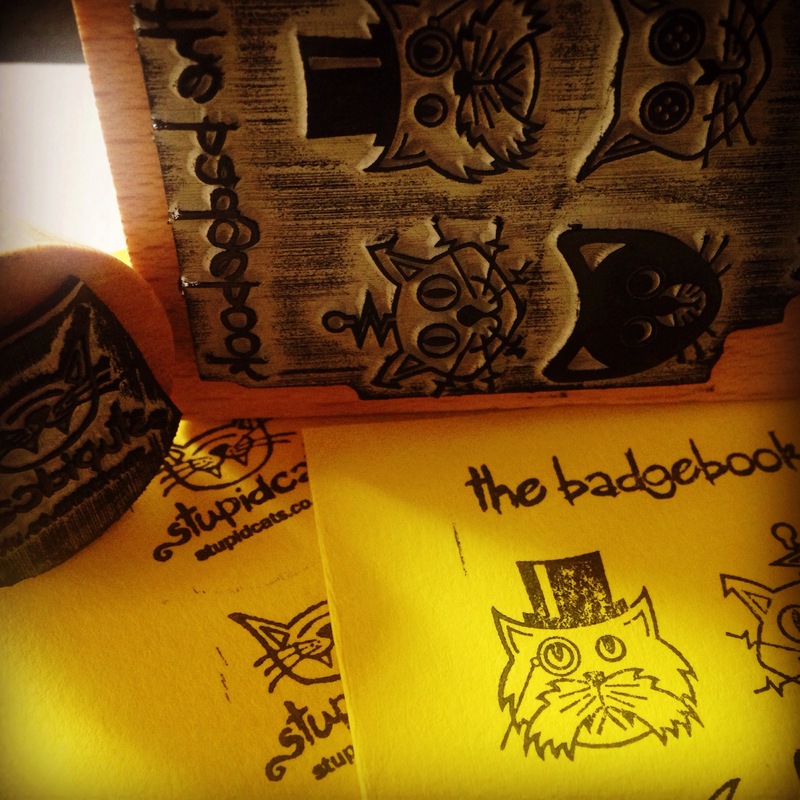 And here’s the finished badgebook! I asked Twitter, Facebook and Instagram for help choosing the colour for volume one and blue won, so I promptly chose orange which came in second place! So there they are! 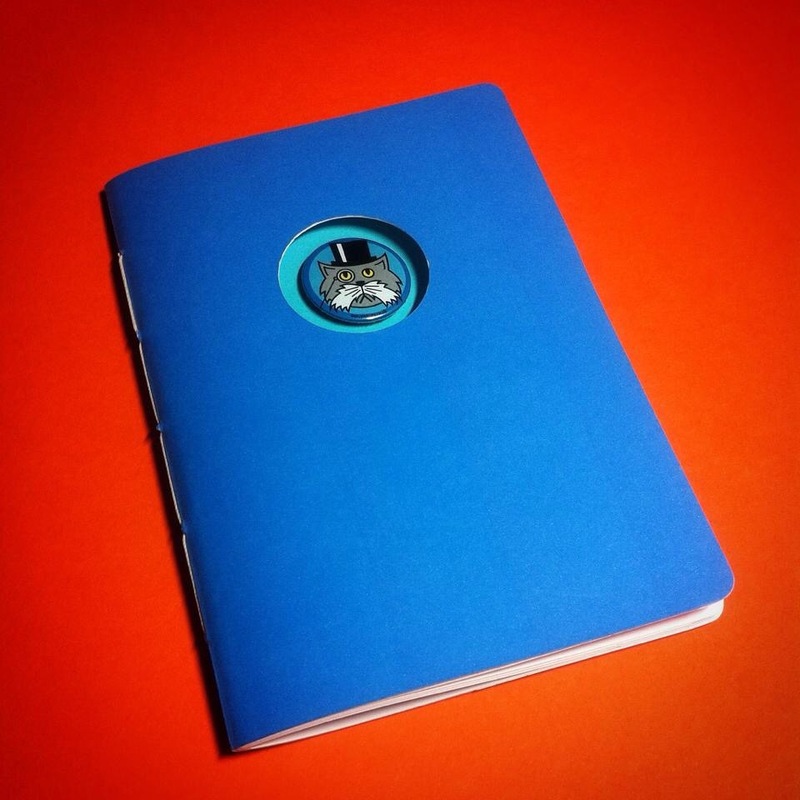 I already have four new designs in progress for volume two – but before I release that, I’ll be launching my notebooks – here’s a preview of the first one, which explains why I didn’t go with blue for volume one of the badgebook. As you can see, I’ve dropped the text on the cover that I had on earlier mock-ups to draw more attention to the cutout and the thinner, contrasting card of the inner cover. 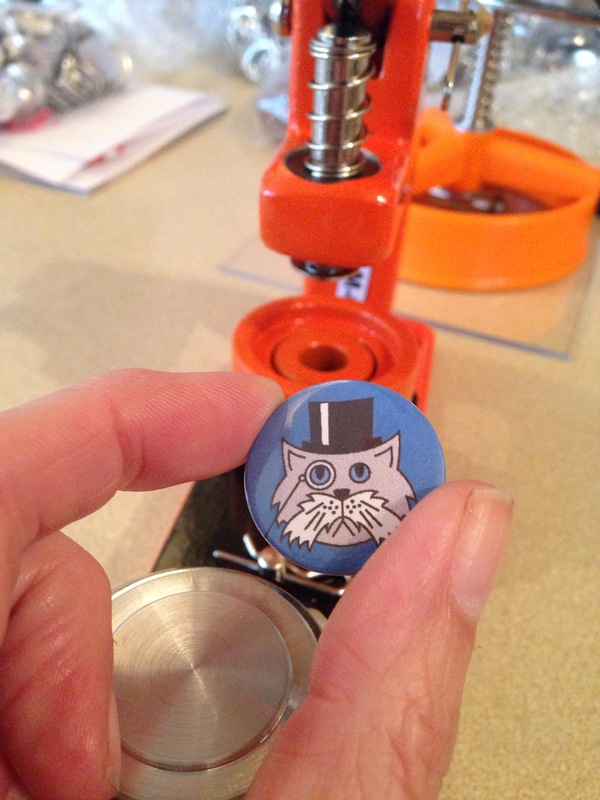 They’ll be handstiched, using thread that is colour-matched to the inner cover. 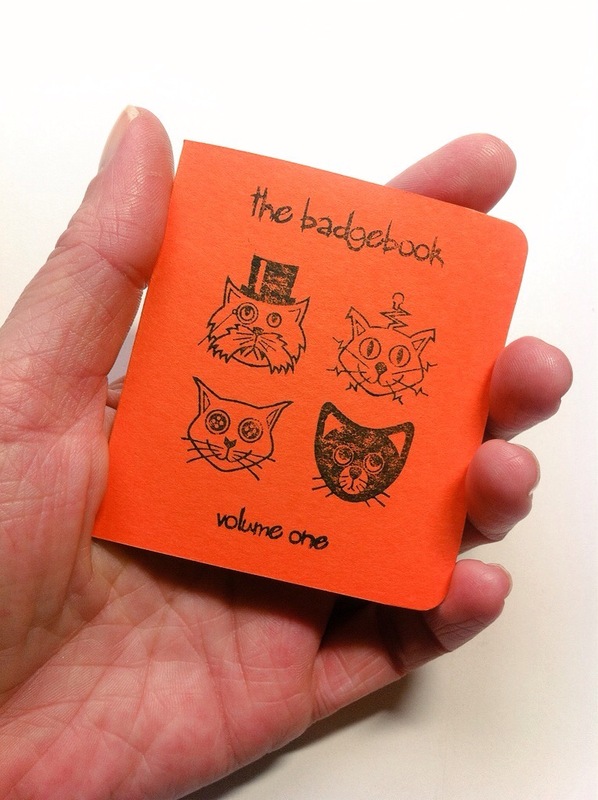 Volume one of my badgebook is available now from my Etsy store, and if all goes well my notebooks should be ready to go on sale in a couple of weeks time. 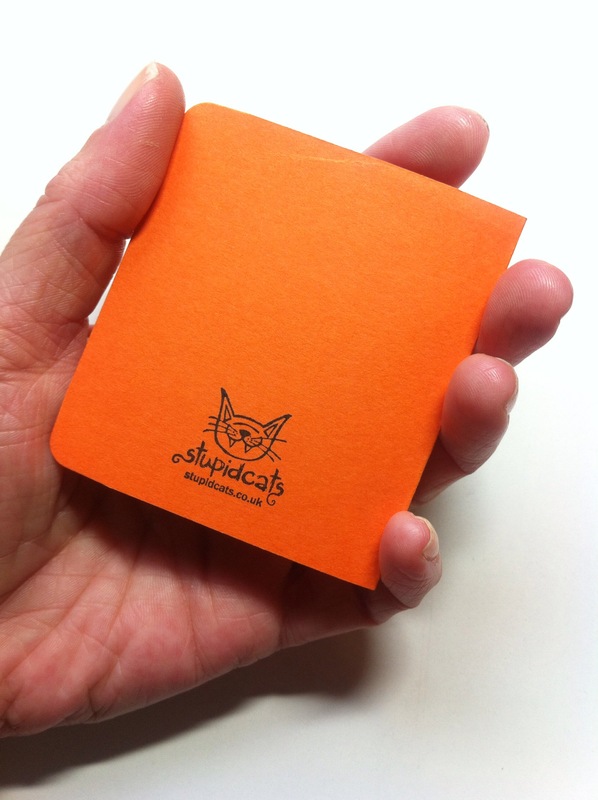 ps – I still love the matchbook idea, so will probably use it for one-offs or something later!